Whoa! Watch The New Land Rover Pull A 100-Tonne Train Like It’s A Piece Of Cake! A Land Rover Discovery Sport is built to tow about 2.5 tonnes of the weight. So it does become newsworthy when a video pops up of a Land Rover Discovery Sport diesel towing three train carriages 58 times its weight at almost 100 tonnes. Innovative Ideas That Will Blow Your Mind Away! They Will Change The World FOREVER! Japanese Architect Builds An Invisible Train. A Sneak Peek Of This Genius Invention Is Astounding. 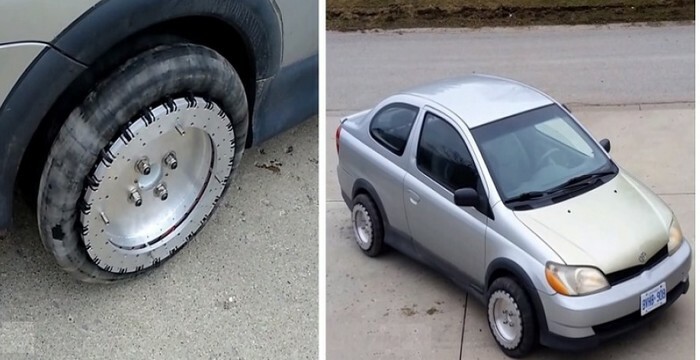 These Magical Wheels Will Let You Drive Your Car In Any Direction. This Makes Driving So Easy.